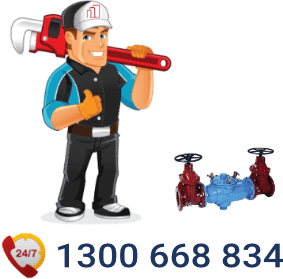 Do You Need Backflow Prevention Plumber Melbourne? Does Your Backflow Prevention Valve Need Testing? Inner City Plumbing are your backflow prevention specialists who can install, replace or test your backflow device. We are open 24hrs 7 days per week for your convenience. Call 1300 668 834 for immediate service and advice. Backflow occurs when the water flows in the opposite direction to which it is originally intended to flow. Every time you fill a glass with water from the tap. Prepare a meal, or take a shower or bath, you rely on the quality of the water and that it is clean, pure and safe. Occasionally things happen that can affect the quality of your drinking water. One of the most common incidences is a burst water main. This creates a temporary loss of pressure within the water pipe or water main. When this happens, conditions are present that can allow the BACKFLOW of contaminants into the water system and threaten the safety of our drinking water. Backflow prevention is important safety measure for every household and business. If your backflow prevention fails it can cause pollutants and chemicals to enter the supply of drinking water. Depending on what contaminant is mixed with the drinking water, you could be drinking water laced with poison resulting in sickness or even death. Is Backflow Prevention Necessary? YES. The backflow of undesirable contaminants into the drinking water is preventable. A cross connection is a physical connection between the water supply and any source of possible contamination. By eliminating or controlling all actual or potential cross connections, the drinking water system can be protected. This is when a backflow prevention device is installed at the boundary of a property. Usually at the water meter. This protects the water in the supply main from harmful cross connections within the property. The drinking water feeding a potentially harmful zone within a facility like a morgue at a hospital. When a piece of equipment like a chemical plating vat has water top up, a backflow preventer installed at the connection to the piece of equipment will ensure the safety of the drinking water. As a property owner it is your responsibility to ensure that the correct backflow device is installed on your property. The purpose of a backflow prevention device is to ensure that water from the property cannot draw back into the drinking water supply. The type of backflow prevention device that is required for a property depends upon the risk rating of the property with the potential hazard. The device should be tested annually to maintain the backflow protection. Do you have a Backflow Prevention Emergency in Melbourne? 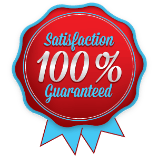 We are your local certified Melbourne Plumber. Call 1300 668 834 for 1 hour service. 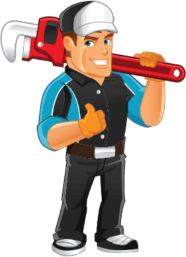 Do you in need a Melbourne Plumber? Inner City Plumbing can service you at any time. Our licensed and skilled plumbers will attend your location at any time of the day. We service our clients 24/7 year round. No matter the time of day or night, you can call us. Our plumbers are reliable, efficient, speedy and always professional. Customer service is something we pride ourselves on and we are second to none. We are your local plumber Melbourne. Call us now on 1300 668 834 to have a plumber visit you within the hour. Backflow Prevention	Overall rating:	4.6	out of 5 based on 117	reviews.